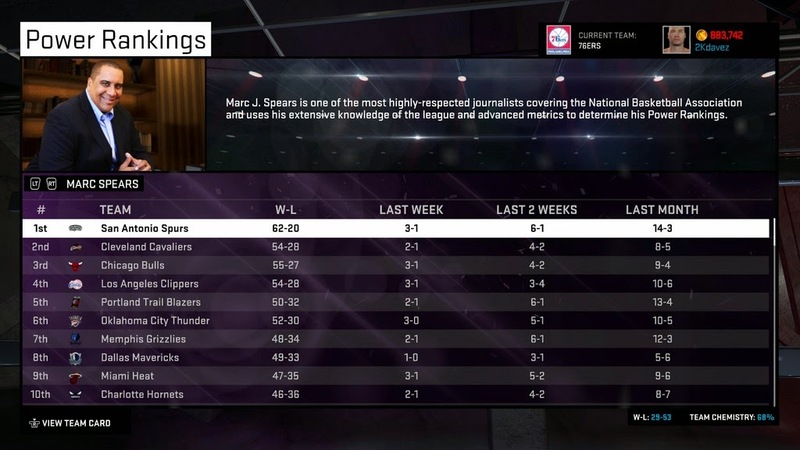 A new NBA 2K15 screenshot has been released online showing off the calculated power rankings in the game. The San Antonio Spurs holds the number one spot followed by the Cleveland Cavaliers. Check it out below. NBA 2K15 hits PlayStation 3, Xbox 360, PlayStation 4, Xbox One, and PC on October 7, 2014. Pre-order the game now to receive exclusive in-game contents.